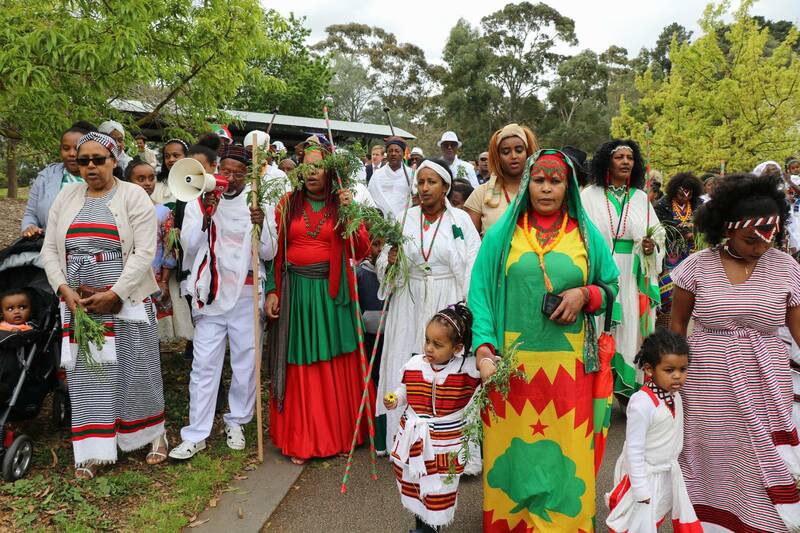 (A4O, October 3, 2017)– Members of Oromo community have celebrated the Irreechaa festival colourfully on 1st October 2017 in Wilson Botanic Park, Berwick in Victoria, Australia. The ceremony commences first by offering thanks and greeneries to Waaqa, followed by blessing all creatures of Waaqa to be at peace with each other. As the festival headmaster Danye Defersha points the formal celebration of Irreecha starts with Abba Malka’s blessings. They bless the Oromo and the country as a whole for more health, wealth freedom and above all for peace, love, harmony and unity. “We wish our holiday to bring prosperity and happiness for all of us,” Danye added. According to the Abdeta Homa, chairperson of the committee, the festival was designed to give admiration and honour to Waaqa’s wisdom who gave them a perfect bliss of land with abundant natural resources. “It also provides a better understanding of Oromo culture, history and humanity, to pave the way for promotion of the Oromo culture, history, lifestyle and practice,” Abdeta Homa added. It’s a day all Oromians celebrate and cherish due to our ties to our root: Oromo Identity and country. It’s a time for reflection, celebration and a good connection with our best heritage. 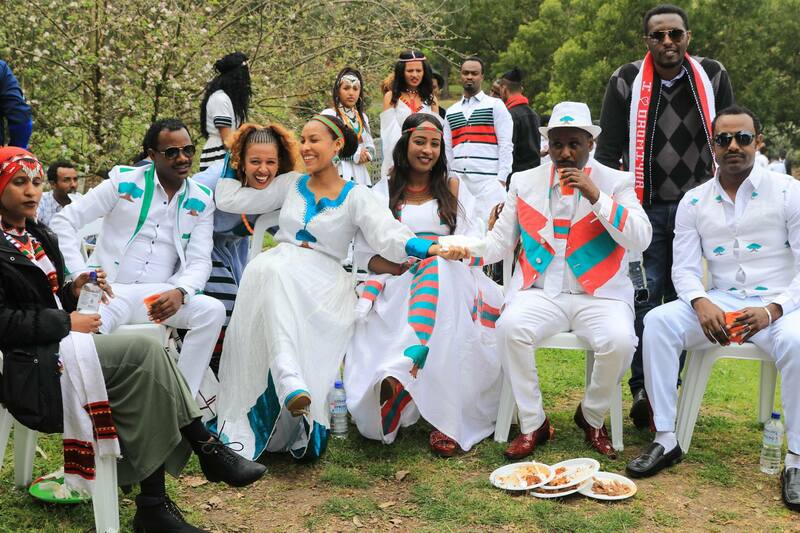 “The beauty and joy of the Oromo people in full force for the Irreecha celebration in Narrm (Melbourne),” Soreti Kadir wrote on her Facebook. “Thankful that under the leadership of our people, the celebrations proceeded peacefully at Hora Arsadi in Bishoftu, Oromia, Ethiopia,” she added. The ceremony honoured the Oromo elders’ blessings and wisdom, and eventually helped to preserve the heritage and strengthen the progress of humanity. It is also committed to the beginning a back to the root project for us as a society. The Celebration of Irreechaa Birra is held yearly both to thank Waaqaa for the blessings and mercies received throughout the rainy season and to welcome the new harvesting season. It is a celebration that repeats once in a year-in birraa and involves special activities or amusements as it has a lot of importance in our lives. It symbolizes the arrival of spring and brighten season with their vibrant green and daisy flowers. According to Getachew Chameda, Irreecha has been one of the major Oromo events that distinguishes, makes, and marks the identity of an Oromo personality as a member of the nation. At this point in time Irreecha is a transcultural subject for the Oromo people. The revival of Oromummaa spirit is grounded in it, the renaissance of Oromo self-consciousness is in the making through it. People of Oromo have a colourful culture and heritage. The participants donned colourful cultural attire in colours such as black, white, red, green and red. These colours are symbolic for the Oromos. White is a colour used to symbolise peace, said the organisers. “Oromos are peaceful people,” they added. The Oromos present also danced and sang for the entire duration of the celebration. As is customary, they later shared food that some people had brought with them. The Oromo Gadaa System has its own flag with three different colors. The colours are Black, Red and White. These all colours have their own representation in Oromo society. Accordingly, the black colour represents future. In this stage, the part of human life is considered as unknown (black). The red shows those who are very active life in different institutions. It is the stage that used as a candle to light for the people. The event was held on one of the side banks of the Wilson Botanic Park’s lake consisting trees providing shade. Irreechaa is one of the intangible heritages of the Oromo people. The Irreechaa celebration is an exciting festival for anyone. Moreover, it plays a crucial role in unifying the Oromo people. 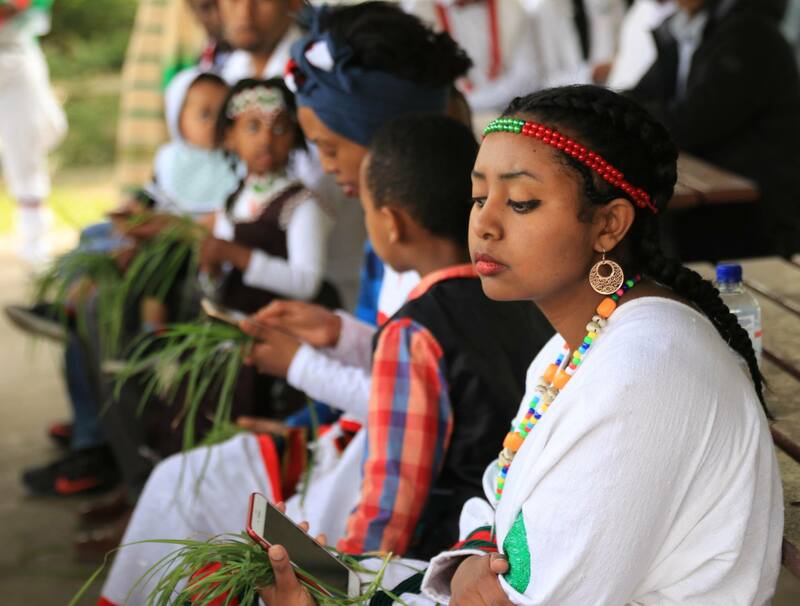 “The Oromos celebrate the Irreechaa irrespective of their religious backgrounds. Whether they are followers of Waaqeffannaa, Christian or Muslims, they participate in the same festival,” said one participant. Nothing brings people together like Irreechaa festival does. It plays a pivotal role in nation-building; bringing people from every religious, economic and social background together. “Oromo understands that human beings do not invent or create something unless it is required,” Facebook message. Irreechaa is one of the Gadaa elements and should be treasured as part and parcel of the unsung democracy. Irreecha is a manifestation of an ancient African consciousness about the universe, back in millenniums. However, there is no written history to explain when Irreechaa celebrations started. But in ancient Cushitic domain, Irreechaa festival was celebrated mostly in religious and cultural context. Posted on October 6, 2017, in Uncategorized. Bookmark the permalink. Leave a comment.